Perfect resume. The headlines are clear and can be read at a glance. 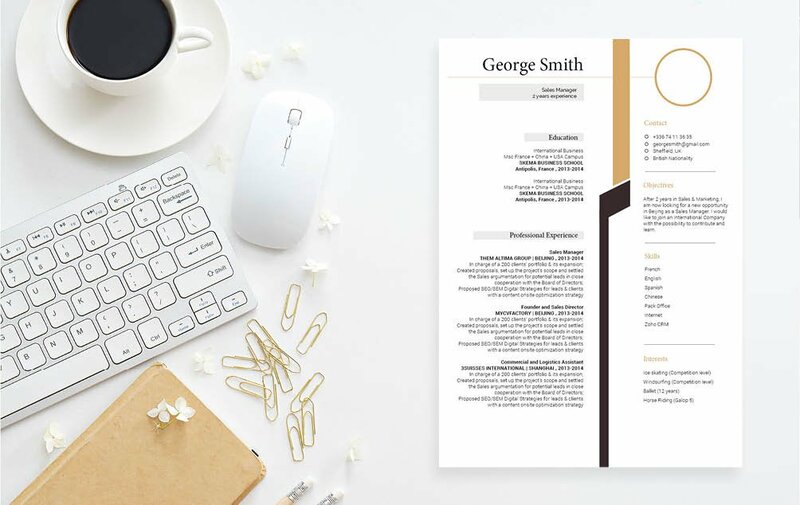 CV template to download "Exceptional"
The Exceptional CV has a rigorous and professional design that is sure to help you get hired! This CV template has an excellent choice of colours, texts, and shapes that create an eye-catching CV format that is ideal for many type of job, and is very useful for applicants who have a solid set of qualifications as all the content aligned to the are creatively presented with the use of shapes and different, calming and modern colours. 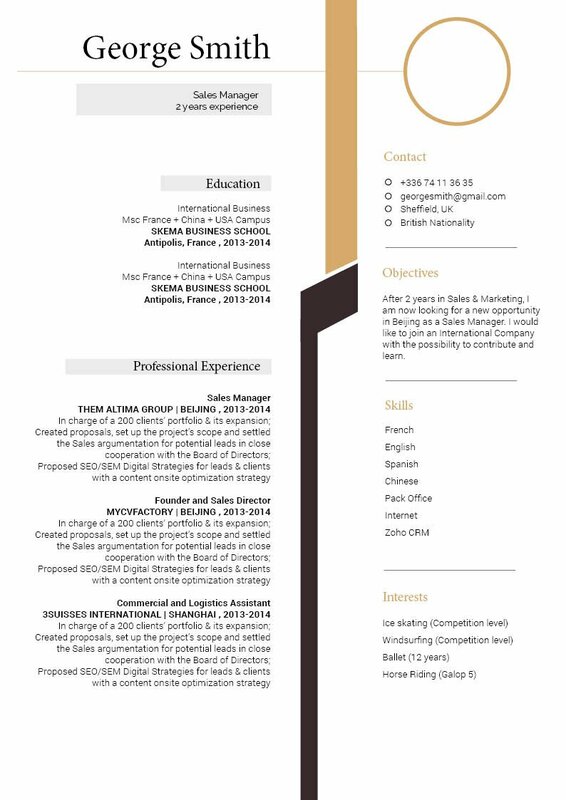 This CV template might just be your ticket to being a highly-paid attorney! Make sure to highlight your strengths and skills, but do so in way that is straightforward and relevant to the job objectives. Highlight your strengths. 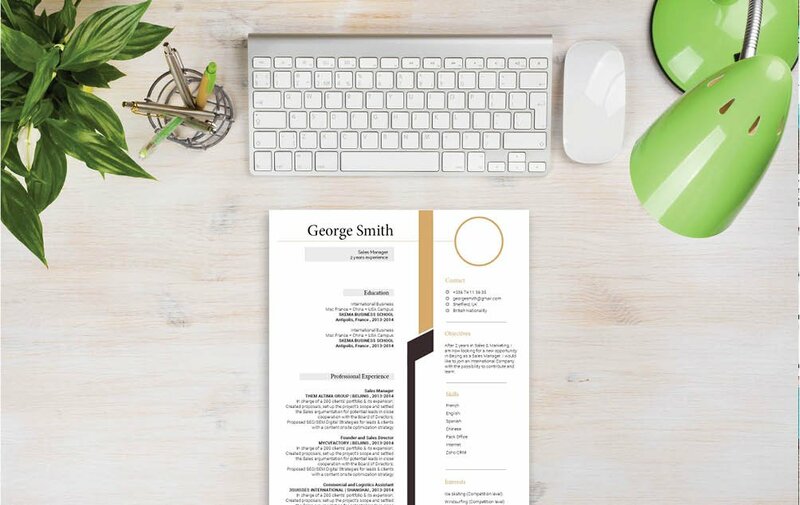 A resume is typically scanned for about 10-30 seconds, no matter how well written it its--it won't get a full reading the first time around! So put forth the effort in determining which skills and strengths you have are more relevant to the current job search objectives. Place those key points on parts of your resume that are more likely to be read. 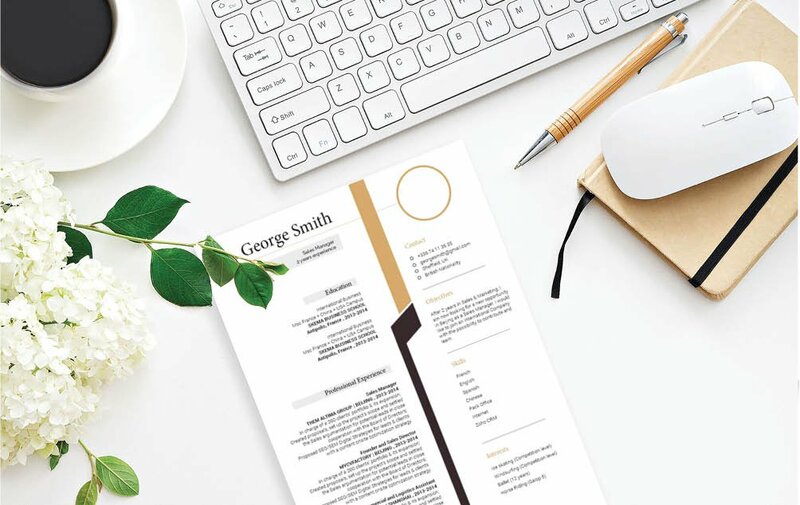 This will make your resume a great match for the eyes of your potential employer, as all the information he needs to know are clearly laid out for them.